NetWaves is a Dutch weekly radio show/podcast digging into the best in free & legal music licensed under Creative Commons licenses. The podcast specializes in electronic music all kinds, from deep house over electro to indietronic. This weeks’ release is the first not to contain the Dutch dialog in between the songs and presents the tracks in the play list format giving it a sort of weekly “best off netlabels” compilation feel which we love! 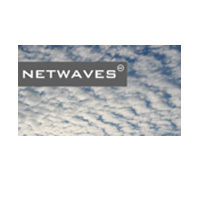 It’s NetWaves first release in this format, so they would appreciate your input – you can email them at input [at] netwaves [dot] org. I personally like the format a lot – separate mp3s with their own album info zipped into one file is perfect. I wouldn’t change it at all.